Good search engine optimization is key to getting your website indexed properly with a good ranking. You may find it surprising, but there are a few small things you can do to really boost the rank of your site. Below we've outlined some key strategies to get you started. In the past this is one of the most important things that you needed to add to your site if you wanted any chance of getting a good ranking. Some search engines still use these to determine how your site is displayed in the search results. The most important of the meta tags are the title, description, and keyword tags. Title Tag: This should be no more than 60 characters in length. Somewhere within the title text you should have the primary keyword that you are targeting as a description for your site. Description Tag: This tag should be no more than 150 characters in length. It should be rich with the keywords that you are targeting and contain a well-written general description of your site. Keyword Tag: This tag should be no more than 874 characters in length and not repeat the same word more than 3 times. The keywords should be separated with commas. Include common misspellings of keywords. Never use keywords that do not fit with your site, search engines will consider this spam and ban you. Instead of using individual keywords try instead to use keyphrases. Try to think of phrases that people will actually search for. Keyword density is one factor with which many search engines rank your site. They index your entire page and then look at how frequently keywords appear. There is a fine line to be drawn when putting the keywords on your site. You want to put enough keywords on your site, but don't want to simply just list them as many search engines will consider this spamming and ban you. Do not write text on the same color background to try to increase density without your viewers being able to see it. This is blatant spamming and you will not be indexed and probably blacklisted. It has been a recent trend for search engines to rate your site based primarily on its link popularity. Link popularity is basically how many different sites contain links to you. I really recommend that you write other websites that cover similar topics as yours and ask for a reciprocal link exchange or possibly even start a special section on your site for these type of links. Google's Pagerank is a statistic that is derived primarily from your page rank. It takes into account both your incoming and outgoing links. In addition it is much more important to get few links from other sites with high page ranks than many with low page ranks. Keep in mind that it is very difficult and takes a lot of hard work to get a good page rank. Also be very weary when trying to 'trick' search engines. This is a very easy way to get banned for life! While often overlooked, having a site map on your site can really help to get your entire site indexed. Your goal is to get the search engine spider to your site map page. Since the site map is essentially a simple list of links, the spider can easily find and follow them, thus, indexing your entire site. Make sure the site map link is easy for the spider to find! This is a simple text file placed within the root directory of your website that spiders first look for prior to indexing your site. It basically tells them what to index and what not to index. All of your images should have alt tags. This will help search engine spiders find images that are links and follow them. In addition, if you put a short description in the alt tag you can use them to help beef up your keyword density. There are literally hundreds of companies out there that will give you incredible claims of being able to cheaply submit your page to thousands of search engines. These companies are a waste of time. They typically use scripts to submit your page and most of the thousands of engines to which they submit are FFA (Free For All) link directories that will generally bring in little, if any, traffic for your site. Also, the real engines they submit to will generally ignore your submission. The best and most fail proof method is to submit the sites yourself. Most engines are free to submit to and have a special page where you can submit. See the list below that gives you direct links to the submission pages. Note: This list is current as of 8/4/02. Go to directory under which you want to submit a site. Click the "Suggest a Site" link. Non-business categories are free to submit to, but it can take awhile to get listed. Business categories will cost you $299 a year. Browse to the directory where you think your site belongs. Click the "Add Url" link at the top of the page. This is a key directory to get into as a graet deal of search engines use their database to show results. They will generally find your site to index for their database, even if you don't manually submit it. They use the dmoz results as part of their database. They allow you to submit one page for free and additional pages for a charge. Free submission takes 4-6 weeks and is not guaranteed. They use alltheweb for a portion of their results. 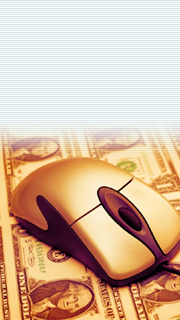 Offers a variety of paid submission services as well as a free basic submit. A good pay for submission service. Cheap to do and very effective. They provide their site database to many major search engines. Uses multiple providers for their search results including: alltheweb, Ask Jeeves, Inktomi, About, Looksmart, FindWhat, and Overture. Once you submit your website, it is important to follow-up and see if you actually get indexed. If you are not indexed within a month of submission, you should go ahead and resubmit. In addition, it is important to test your rankings and massage your meta tags to ensure you get optimal placement. With some time and work you can really improve your site's rankings in the search engines. Just remember that it takes months on end in order to get listed. Don't give up and keep at it! We hope you've enjoyed this article and found it useful.